Easy to maneuver; high-quality interior materials; convenient third-row seats; powerful optional V8; generous towing capacity. Less cargo room than rivals; ride quality suffers on rough roads. The 2014 Dodge Durango gets a new eight-speed automatic transmission, revised front and rear styling, and an updated interior with newly available features like an 8.4-inch touchscreen display and a rear-seat Blu-ray player. Trim levels and equipment have also been shuffled. 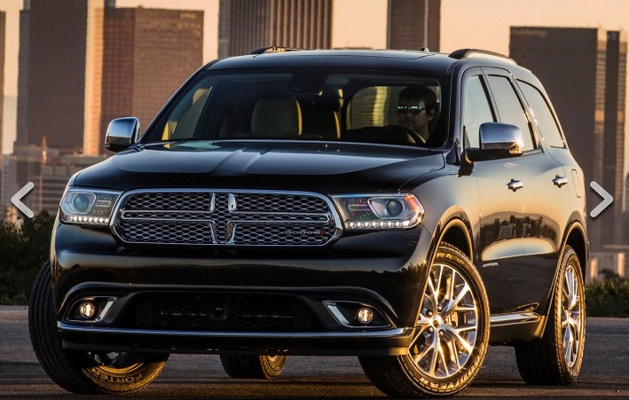 The 2014 Dodge Durango is one of our favorite options for a six- or seven-passenger SUV. The current generation not only has the roomy seating and polished ride that you’d expect in a family-oriented, three-row utility vehicle, it also has an optional V8 engine and impressive tow ratings that you typically see only on larger, more traditional SUVs. For 2014, Dodge has updated the Durango to help it keep up with the competition in this price range. 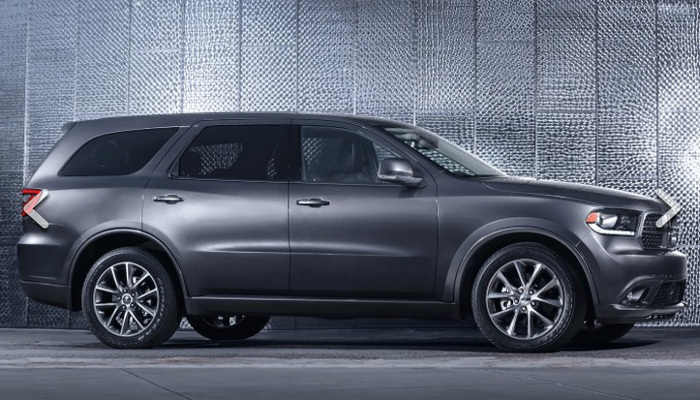 Although the even more aggressive styling is what you’ll notice first, it’s the less obvious changes that make the biggest difference on the 2014 Dodge Durango. Thanks in part to its light steering effort, the 2014 Dodge Durango is fairly easy to back into a parking spot, but unfortunately it remains light at higher speeds, too. This translates to a rather disconnected feeling from a twisting mountain road. The Durango is still as well mannered as any other SUV in these conditions, though it isn’t as confidence-inspiring as you might think given Dodge’s sporty brand image. We’ve also found the Durango’s ride quality to be pretty mediocre when driving on stretches of rough pavement. Competitors like the Highlander or Ford Explorer are generally more comfortable.